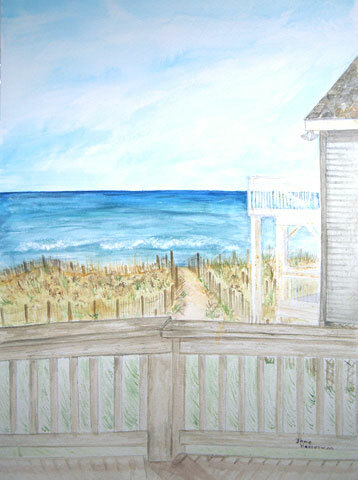 Sadly, the Buxton, NC dunes have mostly been washed away since these paintings were completed in 1996. The waves now wash up under the houses and they are truly "waterfront real estate." 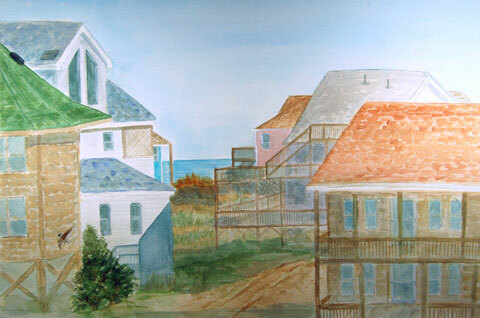 These were painted from the deck on the second round house.